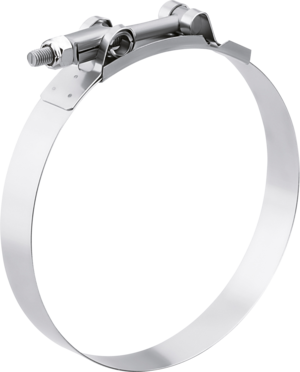 A very strong heavy-duty double band clamp. 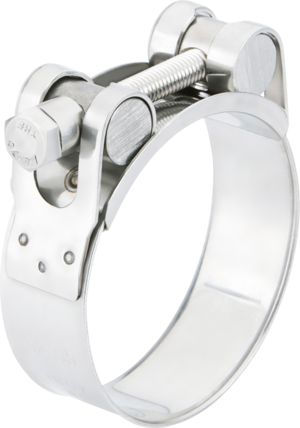 Also available in a double screw version for extra clamping force. 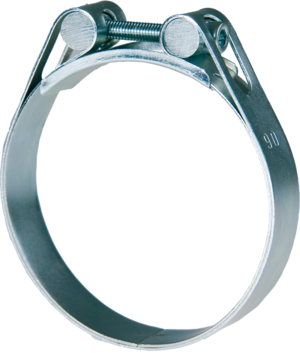 Both“single” and“double” are available in standard version and in stainless steel 316/S50.